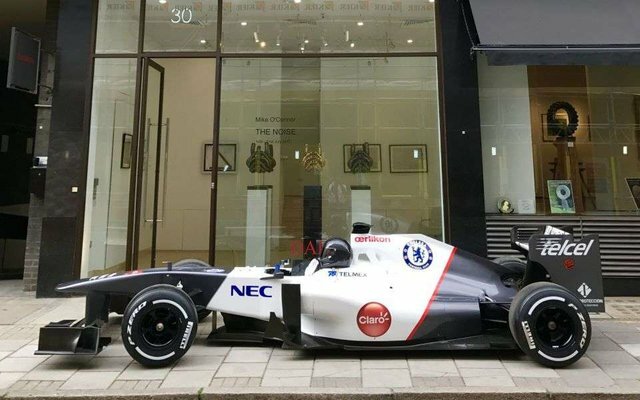 An unnamed Chinese resident bought four Formula One cars from the British dealer company Heritage F1 Limited. The deal was notable for the fact that payment for supercars was fully made in Litecoin (about £ 4 million in Fiat), Bitcoin.com reports. It is known that one of four cars - Sauber Ferrari C30, released in 2011. It was on it that the driver Kamui Kobayashi took the fifth place at the Grand Prix in Monaco. Details about the buyer and other cars are not disclosed, but it is noted that sports cars are in working order and ready for racing. The intermediary at the conclusion of the transaction was the London art dealer company Dadiani Syndicate, Elisa Dadiani. As a payment for works of art, the gallery accepts bitcoins, Ethereum, Ethereum Classic, Ripple, Litecoin and Dash. "We are very pleased that we will organize the sale of these refined cars for crypto currency. Digital money does not exist to "get rich". They help make trade and investment more transparent and decentralized, "Dadiani said. Heritage F1 founder Mike O'Connor added that the sale of such an impressive collection of Formula 1 cars for crypto currency became a precedent and could open a completely new market for the company. "The world is constantly increasing the demand for the purchase of luxury goods for crypto-currencies. We are confident that this transaction in partnership with Dadiani Syndicate is only the first of many, "added O'Connor. The @OriginalWorks bot has determined this post by @alex2016 to be original material and upvoted it!